As most of you who would have looked me up would know, I was working at Infosys and have been doing so ever since I left college. I decided it is time to change a few things in my life, and one of those was to get a new job. 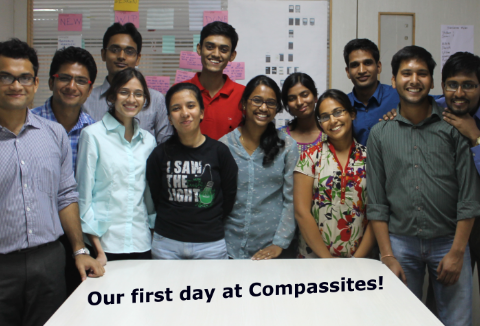 A friend of mine told me about Compassites, a growing IT startup with a great vision and great leaders. I thought it was the right place for me to work in. I didn’t apply to too many places. I wasn’t interested in working in any of the IT biggies anymore. So Compassites, fit right into the place I had in mind. I was referred to the company by a kind friend, got called for the interview and I cleared it 🙂 Infosys has a notice period of 3 months, I got my offer letter on March 7th, so I could only leave Infy by the 1st week of June. After a looong wait, the day finally arrived when I bid Infy good bye. It was a fruitful 3 years, I learnt a lot and have a lot of memories that I will cherish for life. June 10th was the day I was to step into an entirely new life. 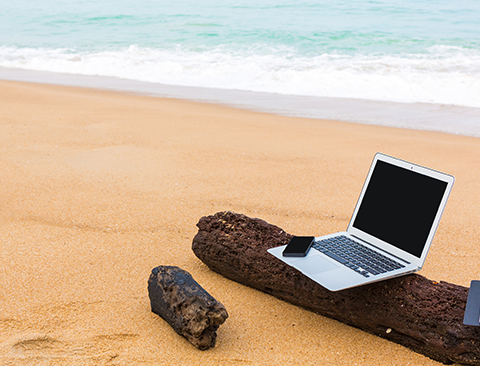 Unlike any of my pervious work days, I got to go to office from home. Mom was busy packing, dad, my sister and myself set off to our respective offices. Being the first day I didn’t want to be late. So I left home by around 8:10. I got a bus 15 mins later. The bus journey was long, really long. By the way, I chose to travel by bus as the bike would be a really bad decision considering Bangalore’s traffic. The office is located at JP Nagar, that is a whole 50 odd mins from my place in moderate traffic! I plan on spending my time in the bus, by either reading a book, watching some videos or as a last resort sleep! Anyways, in my offer letter, it was mentioned that I had to be in office by 9 am. But, my HR had mentioned 10am to me. So I decided to be there by 9:30. Upon entering the office, I found an old colleague of mine, who I came to know also works here only when I saw the “Join Us” page at www.compassitesinc.com, her pic was there. I walked into the office and met the HR, who told me to wait a little, while she got my documents ready. I’m going to take a little time to explain to you how my first day at Infosys was, just to paint a better picture of exactly how I was feeling here today. At Infy, I was part of a batch of 700 odd trainees. We were all taken inside the famed “multiplex” at the Mysore campus. We had a host of folks addressing us, right from the HR to the security, We were screened videos of talks by Narayana Murthy, Kris Gopalakrishnan, the then CEO, etc. Well, I hardly knew the people sitting beside me, forget getting to know any of the 700 odd people from my batch! Now back to the present, I was taken into a conference room as I was the only person to join on that day. There was a nice huge LCD TV onto which the presentation was displayed. I was walked through the history, value system, culture, etc of Compassites. I was shown a few videos of the CEO, talking about the company, its values, etc. I was then given a set of forms, which I had to review and sign. All this might sound like any other induction, the next part was what amazed me. I was taken around to every single employee and introduced to them personally. Now, this was something I least expected!!!! It was such a nice gesture. Never in my entire career, have I been introduced to everyone, even from my own floor! Everyone was very pleasant to talk to. The people here are really smart, and I’m really looking forward to working with each and everyone of them in the months to come by. Mario Stallone is a consultant at Compassites. He has been working in the software development industry for the last 3 years. He was working with Infosys before joining Compassites. He has worked on iOS, Cocoa, Java, and web development. He loves to try out new technologies. Apart from that, he loves cooking, watching TV shows, listening to music and occasionally reading.